Bark Bucks are available in denominations of $25, $50, and $100. Open 6am-10pm every day of the year! Call us at (978) 486-9922 anytime. Email us (and charge it to your card on file). 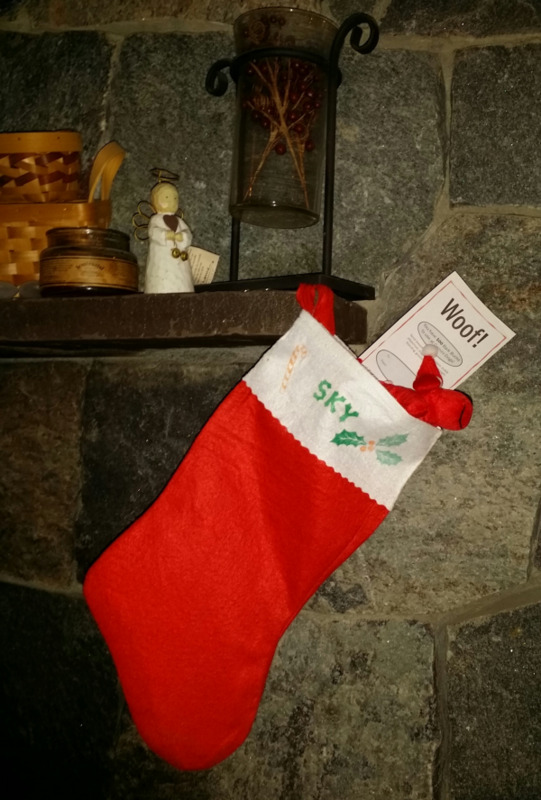 We're happy to mail them directly to your dog's pal, too! Buying a special gift for your dog's best friend...How cute is that? Try Bark Bucks...the perfect gift for any dog. Your friends and family can use Bark Bucks for any service at Gemini Dogs: doggie daycare, overnight boarding, grooming, or training. And what dog couldn't use a little extra fun in his life? You can give the wonderful gift of Bark Bucks to a friend, and introduce them to Gemini Dogs at the same time! Any dog owner would be grateful for the opportunity to go away for the weekend, knowing that their dog is in good hands. You know we're the best, so why not share the love? When you're ready to put together a great gift for those fellow dog lovers in your life, let us help you! We have a variety of toys and dog-related items, and we love to shop for doggie stuff! We would be honored to put together a little gift bundle for you! Just give us a price range, tell us about your dog's pal, and leave the rest to us. We offer 10% Off all services for our retired and active duty military!